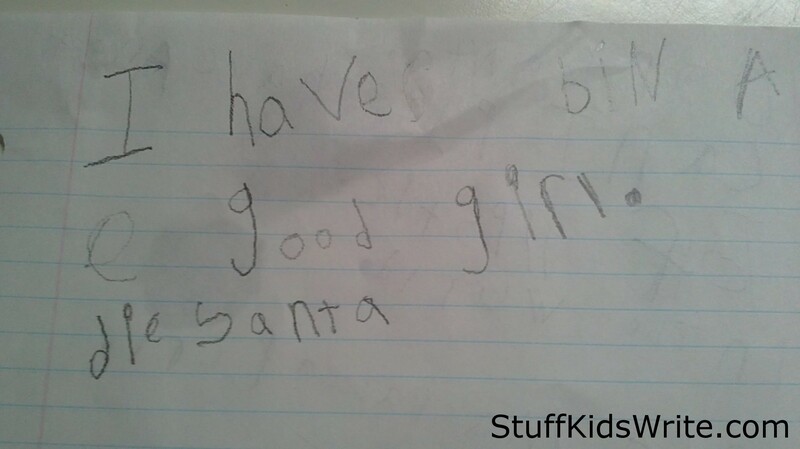 Posted on November 20, 2012, in Holiday Cards, Misspelled and tagged children writing, Christmas letters, funny, funny kids writing, Humor, misspelled words, Santa letters, Stuff Kids Write. Bookmark the permalink. 5 Comments. I have nominated you for a Liebster Award! Happy Belated Thanksgiving! Check out my latest post for all of the chilling details. Maybe you could respond in all handwritten kid stuff!